I have found a new hobby. A brand new weekend obsession. It’s called Geocaching!!! 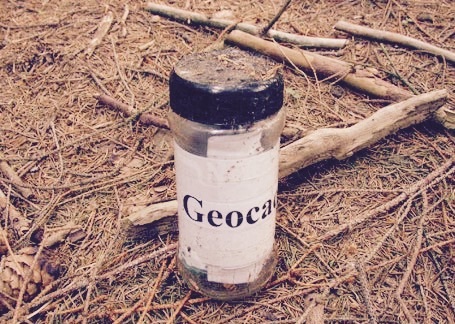 It is a fun outdoor recreational activity, where you use a GPS, iPhone or other navigational techniques like a compass with latitude and longitude coordinates to hide and seek containers, called “geocaches” or “caches.” They are located all over the world. Even in your own backyard. Most of these caches are small waterproof containers (like a pill bottle) with a tiny logbook shoved inside. Just bring a pen or pencil on the scavenger hunt. The geocacher writes in the date they found it and signs it with their code name. After signing the log, the cache must be placed back exactly where the person found it. Its a good way to get outdoors, go for a hike and bust out the compass and go on a little scavenger hunt. Now that Spring weather is slowly taken over, it just feels good to be outside.